Alcatel OneTouch just unveiled a new family of affordable upper entry-level and mid-range devices, dubbed the Pop series, and the not-so-powerful one among them is called the Alcatel OneTouch Pop Star. Similar to the Alcatel OneTouch Pop Up, the Star comes with interchangeable, differently-styled rear covers that will allow you to express yourself. Is the rest of the phone equally curious? Read on to find out! The design of the Pop Star isn't wildly different from the one of the Pop Up. It's not too shabby in the size department, measuring in at 142.5 x 71.5 x 8.6mm and also sporting a removable rear cover that will allow you to find the best match for your personality (no access to the batery, mind you). 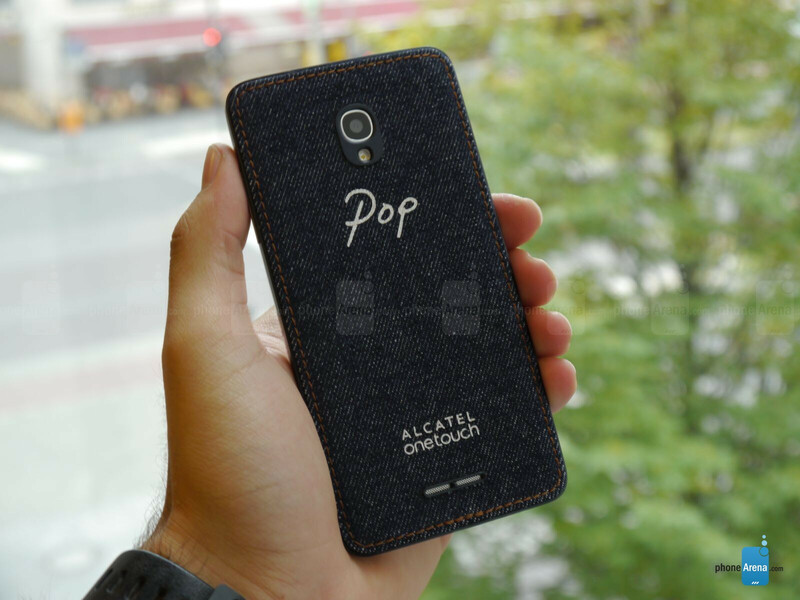 What's even better, Alcatel promises that it'll include up to three covers for free if you go for the Pop Star, so you'll have some customization options right off the bat. Moving onto ergonomics, the Star sits comfortably in the hand, though the grey model with a metallic finish is a bit on the slippery side. 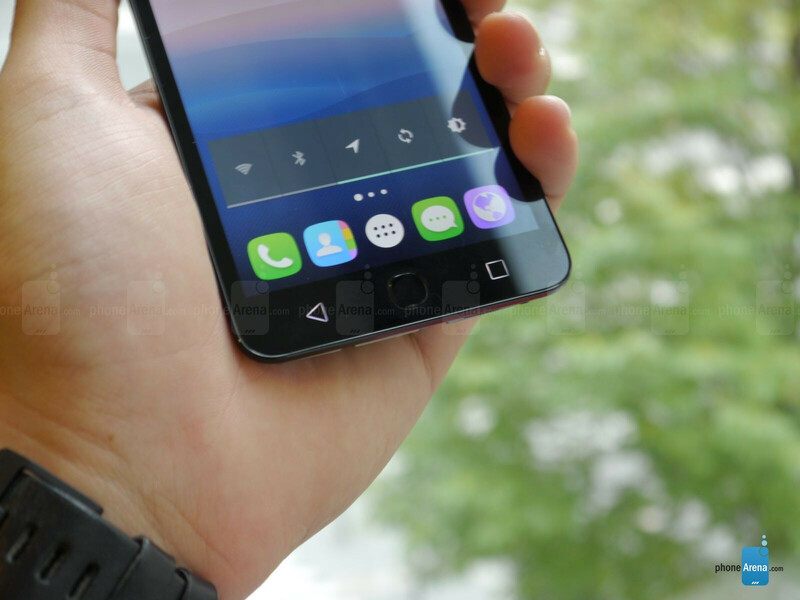 The phone also comes with a hardware home button, surrounded by two capacitive navigation keys, but for now Alcatel is keeping away from fingerprint scanners. Still, we were told that the idea going forward is for a fingerprint sensor to be included with 2016 devices. With a 5-inch IPS display with a resolution of 720 x 1280 pixels, the Pop Star has nothing to impress us with in this department. Still, considering the dirt-cheap prices at which Alcatel is selling these, we can't at all complain — the screen was detailed enough as to not draw our attention. As per usual, we'll refrain from commenting on color calibration, as we just haven't had the opportunity to go to town with this particular panel. We'll be frank and note that we've never been big fans of Alcatel's attempts to make Android its own, with previous versions of its proprietary skin striking us as abnormally heavy — enough to put a strain on the processor. 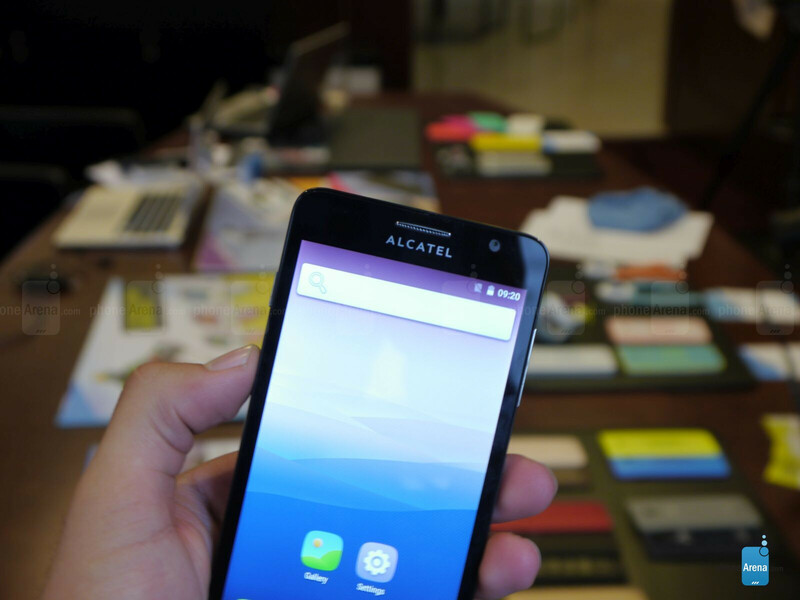 With the Pop Star, however, Alcatel is sticking to a more stock Android-like mantra, so customizations courtesy of its engineering team are kept to a reasonable level, allowing the phone to breathe and move fairly well through menus. One cool feature of the software is its ability to dress for the occasion depending on the cover you pick. So if you pick a screaming red back plate, the theme will be changed to a fitting one — at least so long as you scan the QR code on the inside of said plate, which ought to trigger the process automatically. True to its entry-level status, the Alcatel OneTouch Pop Star won't amaze with its processing chops, but it's definitely up to the task so long as you understand that this thing isn't intended to be a powerhouse capable of running the very latest gaming titles at 60 frames per second. 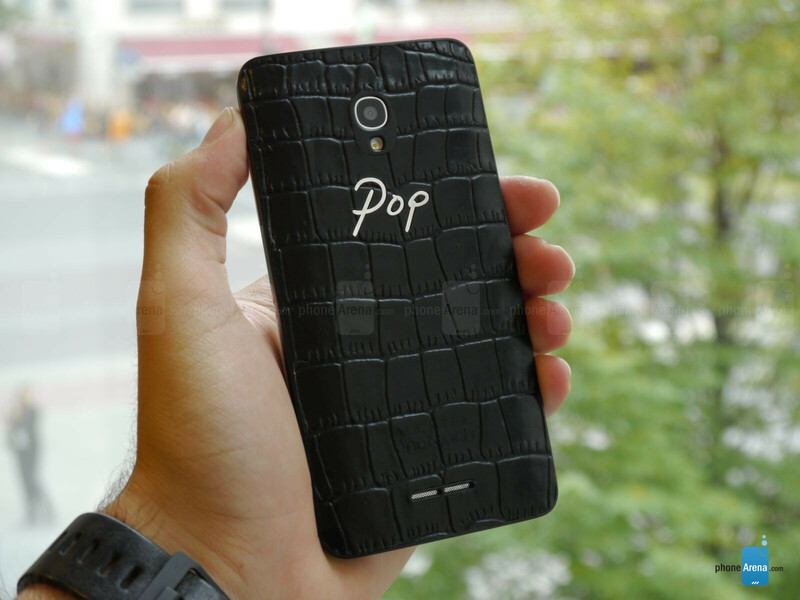 In any case, the Pop Star is available in two versions: one with a quad-core 1.3GHz MediaTek MT 6580, and the other one with a 64-bit, 1GHz MediaTek 6735P; regardless of the variation, you will enjoy 1GB of RAM. It's also worth mentioning that we have two SIM card slots, as well as a microSD card slot on either version of the Pop Star. 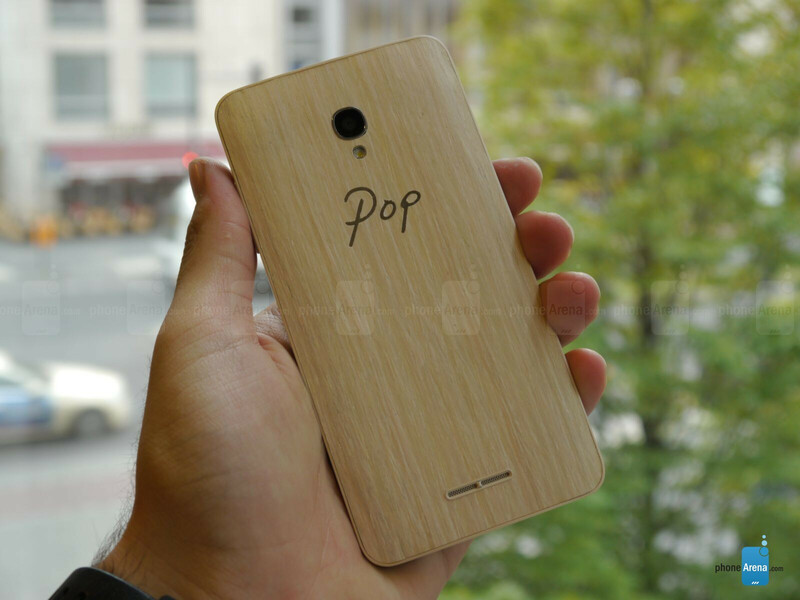 The folks over at Alcatel didn't spend much time outlining any particular camera chops as far as the OneTouch Pop star is concerned, so at this point the best we can do is assume that we're getting run of the mill components. Speaking of those, you're looking at an 8-megapixel camera at the back, coupled with an LED flash, while a 5-megapixel unit is available up front. None of this is surprising, though we've got to admit that it's unfortunate that Alcatel is still stuck with that horribly outdated camera interface that's available on the Pop Star. This is one area that needs serious attention. Well, if you're on the hunt for an affordable and undemanding device, then you might want to consider the Alcatel OneTouch Pop Star. From what Alcatel tells us, you should expect to find a unit or two through retail channels, fetching a price anywhere between 109 and 129 euros (3G / 4G LTE model, respectively). For that kind of money, the Pop Star suddenly doesn't look like a bad value proposition.